Isle of Man TT race winners, and World Sidecar Champions, Klaus Klaffenböck and Tim Reeves have joined forces for June’s two Sure Sidecar races at the Isle of Man TT Races fuelled by Monster Energy with the ‘dream team’ well placed to push for the race wins. The eleventh hour deal will see Klaffenböck supply Reeves with Honda engines and full technical support, including the Technical Director of Team Klaffi – a former F1-technician -, throughout the fortnight with the firm aim of increasing Reeves’ tally of wins around the 37¾ Mountain Course. The deal is also set to include the Southern 100 and Scarborough Gold Cup and extend beyond the 2016 road racing season. The Austrian ace, world champion in 2001, won three TT races between 2010 and 2011 and has since run Ben and Tom Birchall at the TT, taking victory in 2013 and a stunning double in 2015. Reeves took his maiden TT win in 2013 and has taken a total of five podiums since his debut in 2008 although he endured a difficult fortnight last year and was forced to retire from both races. The new deal should see the five times World Champion ideally positioned to challenge the Birchalls, Dave Molyneux and John Holden. Reeves believes that signing the deal with Klaffenböck will give him what he’s been missing. 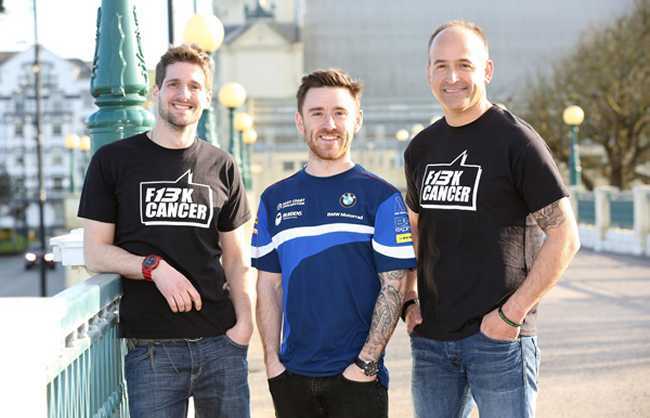 Again partnered by three-time winner Patrick Farrance, Reeves will run an all-new livery at the 2016 TT promoting the ‘F13K Cancer’ charity while he also continues to have the support of his main season sponsors including Team E-Aide Motorsport, Remse Racing, Metrail, H&S Contractors, LA Marketing, John Brown of Hunts Motorcycles, DFDS Seaways and Sure Mobile. Qualifying for this year’s Isle of Man TT Races gets underway on Saturday May 28th with the two three-lap Sure Sidecar races taking place on Saturday 4th and Friday 10th June 2016.